ChemCon Conferences 2019. HaskoningDHV Nederland B.V. All Rights Reserved. This communication was sent to you in the sincere belief that you will find its message useful. 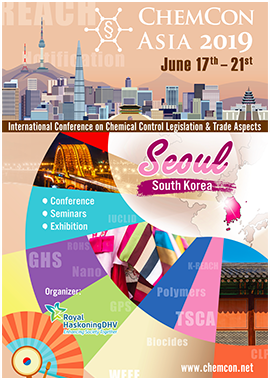 This issue features information about ChemCon Conferences. Our newsletter is released approximately six times before each conference. To ensure delivery to your inbox you can add office@chemcon.net to your address book or safe list. We are always interested in any comments or questions you may have about anything you have read in this newsletter. If you would like to send us your comments, subscribe to this newsletter, notify us of a change of address, just send an e-mail to office@chemcon.net.